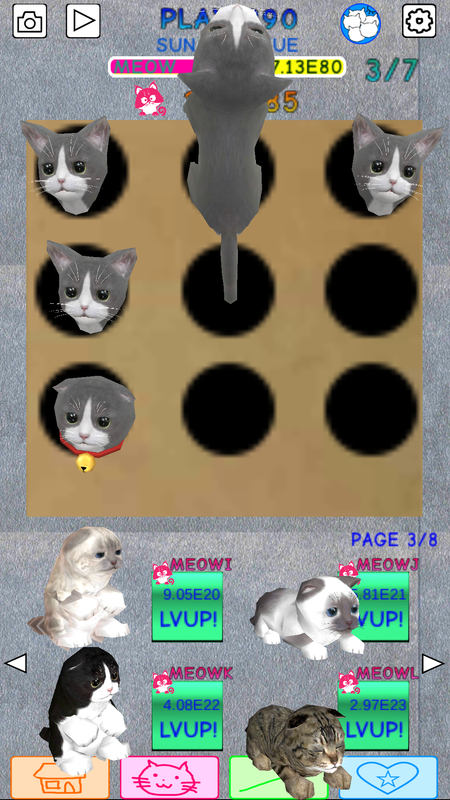 “Play Kittens” is a funny and cute cat touching idle game, blending traditional whack-a-mole with simple collection plus upgrade mechanics, which provides a unique experience to heal your heart by charming voices, facial expressions and motions. By touching cats keep coming out of the box, you make them meow. 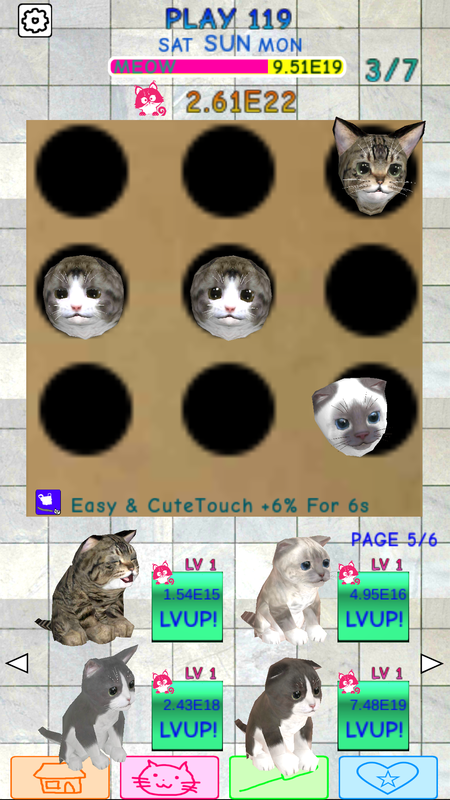 When amount of meow is enough, you advance to next group and obtain happycats to increase touch power by level up. 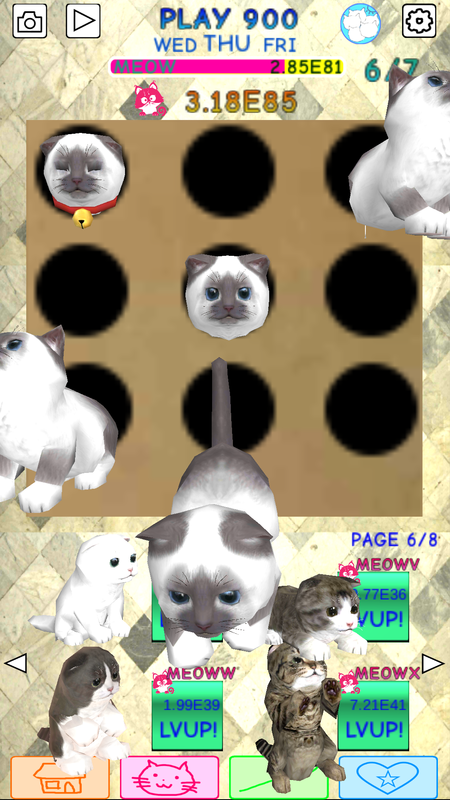 Using happycats collected, you get new kittens that meow every second. 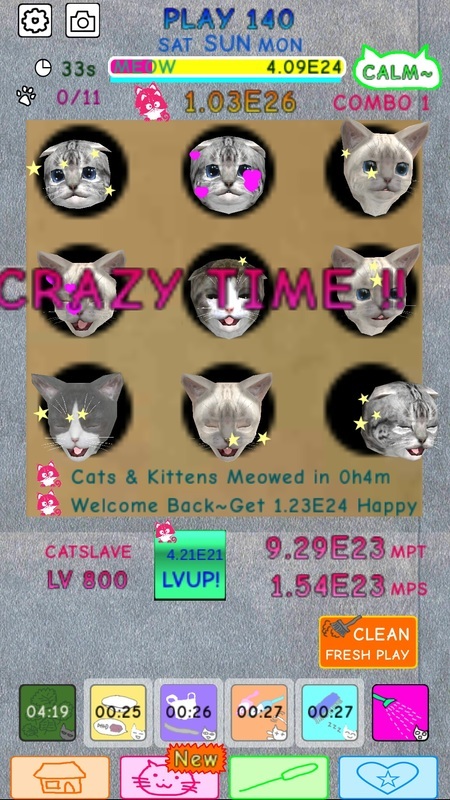 They react to your tackling with learned motions, also produce happycats if you leave the game and come back afterwards. 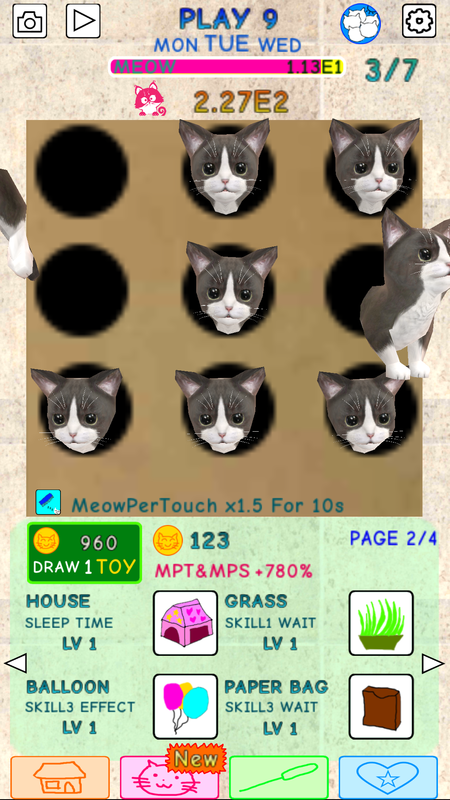 Challenge comes after completing 6 groups, you face Funny Times with time limit before going to next play; while 7 plays in each home end with Crazy Time, that your kittens fell asleep for awhile if too many cats escape from the box. 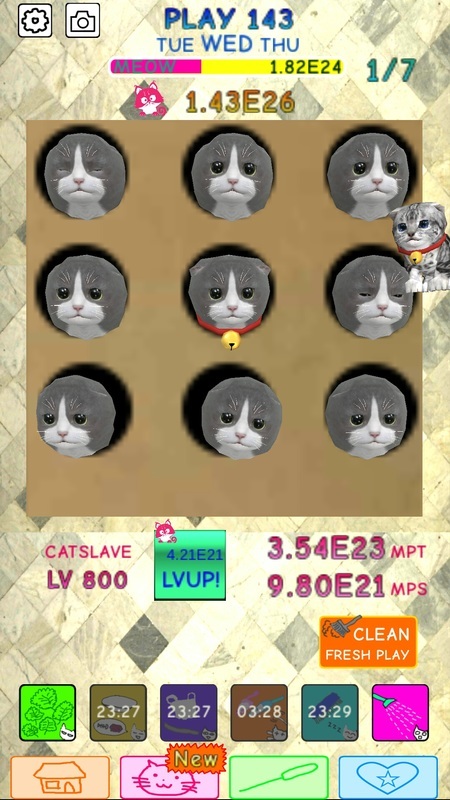 Further plays let you obtain happycats more efficiently and engrossing, as you select which active skills or kitten talents to help you first. Once reaching a hard play, you can perform clean to receive coins then restart, which can exchange and enhance powerful toys. Passing through previous plays becomes easier and faster until a new record, depending on different combinations of abilities from the toys you own. 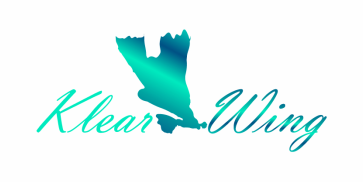 Klearwing Limited is a Hong Kong based studio founded in 2014 by King Stratus, who previously worked at Firedog Studio as game designer, participated in development of PC games such as NeveRossa and Tiara Concerto.